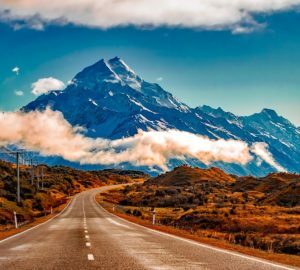 New Zealand is one of those travel destinations that might not appear in your head when you’re thinking of a vacation, but it should. New Zealand has some of the most beautiful unspoiled scenery in the world. The people are known to be warm and friendly, and welcoming to visitors. The climate is very benign. Even though it has four distinct seasons, none of them are extreme. Unlike Australia, there is very little lethal wildlife so you can explore without fear. New Zealand is made up of two large islands and many smaller ones. Quite a few movies were shot in New Zealand, mostly because the scenery was so spectacular. Lord of the Rings is an example of one of them. 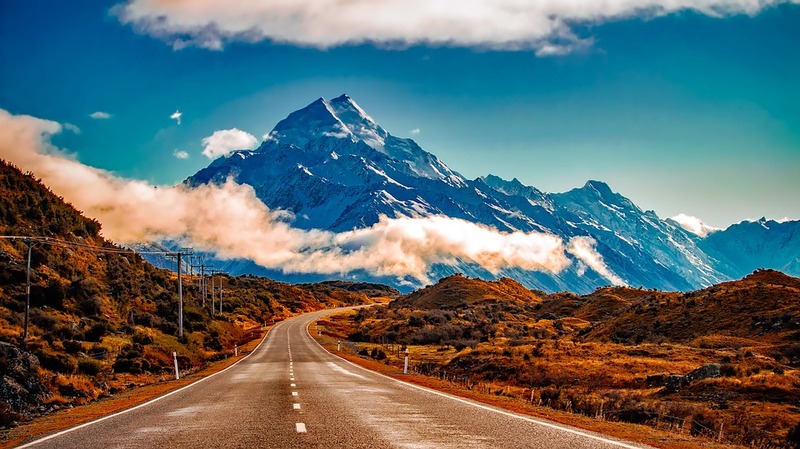 There are many things to see in New Zealand and we will start our list off with a nice one. Milford Sound is one of the most popular attractions in New Zealand. It is in the North End of Fiordland National Park. Bring your camera, because Wilford sound has some of the most spectacular coastal scenery in the world. You can almost believe you’re stepping into a movie. Incredibly clear deep blue water, mountain peaks, waterfalls, all created by glaciers during the Ice Age. Milford Sound is definitely bucket list material. The Waitomo Glowworm caves are unique in that they are lit by thousands and thousands of glow worms. This is something you just cannot see every day, or anywhere else in the world. There are boat rides available through the caves, and guides are there to teach about this unique phenomena. This is one of those places that after you tell people about it, they wish they had been there too. If you’re looking for a bit more Adventure, Queenstown is the destination for you. In Queenstown, you can stay in a first-class luxury hotel and spa, and also go bungee jumping, skydiving, white water rafting, and many other adventure sports. Queenstown is also a good base camp for visiting surrounding areas. Many amazing sights and sceneries are just a short distance away, including the areas that were used in Lord of the Rings. Auckland is one of New Zealand’s largest cities and home of the sky tower. The sky tower is over a thousand feet tall and is the tallest free-standing structure in the southern hemisphere. The tower offers the most magnificent views, and at over a thousand feet you can see over 50 miles on some days. There is also a revolving restaurant at the top for those that wish to take their sightseeing a little bit slower and enjoy some food at the same time. The Maori Heritage Center at the Te Whakarewarewa Geothermal Valley will let you have a traditionally prepared and authentic meal that uses the geothermal pools in the area. The meal is called a steam box meal for obvious reasons. The mud pools in the area can get up to 200 degrees Fahrenheit. You will also be entertained by traditional welcoming dances and other cultural experiences of the Maori. We love seeing the local and historical cultures in places we visit, this is what traveling is all about. If you love art deco, then Napier is a city you need to visit. The city resides on the north islands east coast and is famous for Art Deco architecture. It’s creation is an interesting story. The City was destroyed in 1931 due to an earthquake, and when it was being rebuilt, it was at the height of an art deco era. So, the whole city was remade over into Art Deco architecture. They even have a yearly Art Deco Festival which thousands of tourists come to visit. This is another location you need to bring your camera and experience something that you will not experience anywhere else in the world.